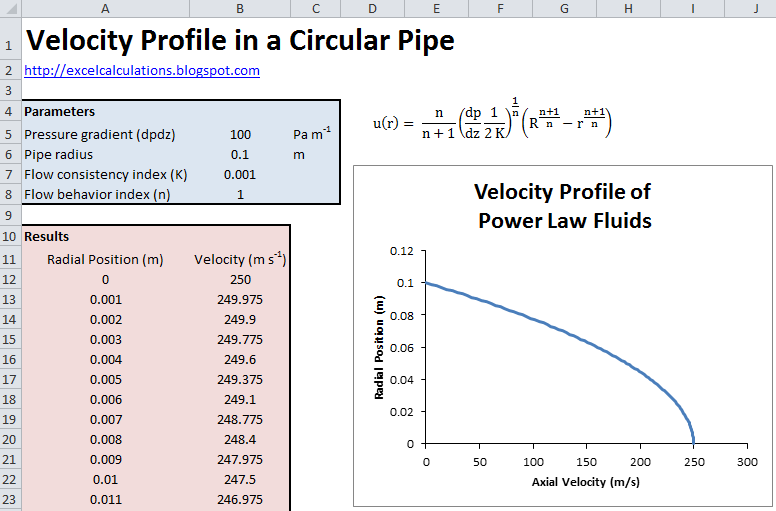 This Excel spreadsheet calculates and plots the velocity profile of a power-law fluid in a circular pipe. The spreadsheet is valid for Newtonian, pseudoplastic and dilatant fluids. The velocity profile of a Power-law fluid is given by this equation. 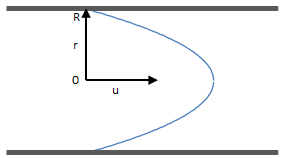 The equation above is only valid for developed steady-state laminar flow in a circular pipe. The entrance length (that is, the pipe length needed to develop a steady-state velocity profile) for laminar flow is given by this correlation. 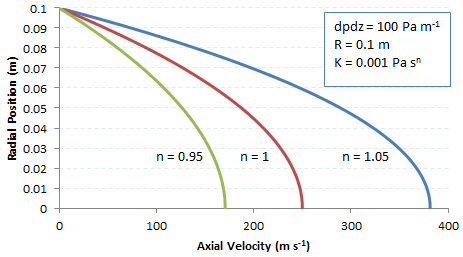 The chart below gives the velocity profile for different values of n (with all other parameters constant). 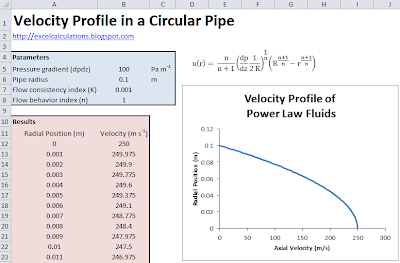 Excel will then plot the velocity profile from the centerline to the surface of the pipe. As expected, the velocity profile is symmetrical. The transient velocity profile in laminar flow is more difficult to calculate; this requires the numerical solution of a partial differential equation via a finite difference scheme. This will be the subject of another spreadsheet.